The noxious one minute clip was posted to Facebook by a user named Daniel Tecu, who asked for help identifying the two boneheaded adults, according to Central European News. 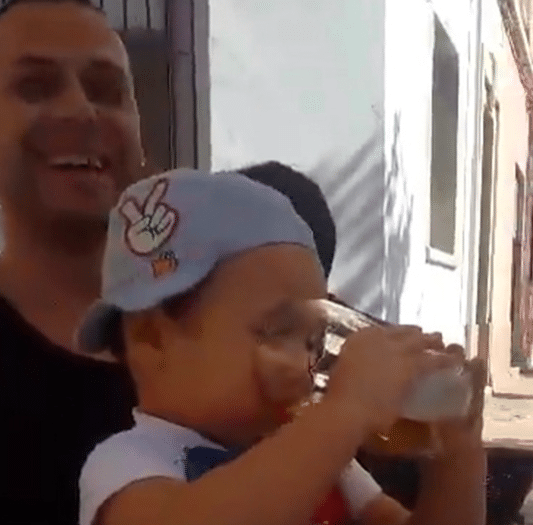 In the footage a small child who appears to be no older than 3 can be seen sitting in the lap of a Romanian man as another guy films them and laughs. 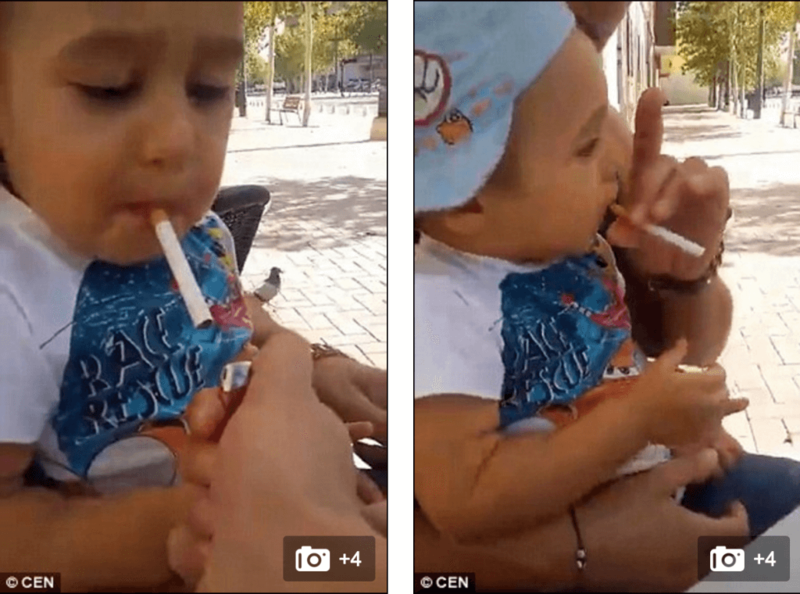 The sitting man cradles the boy in one arm and holds the cigarette up to the child’s mouth with the other. 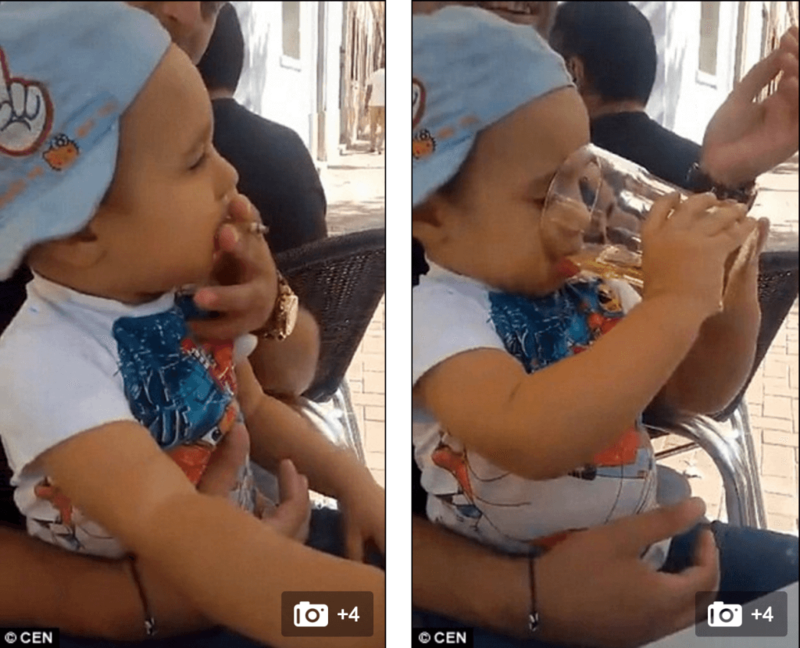 After several puffs, he helps the kid gulp a few sips of beer. 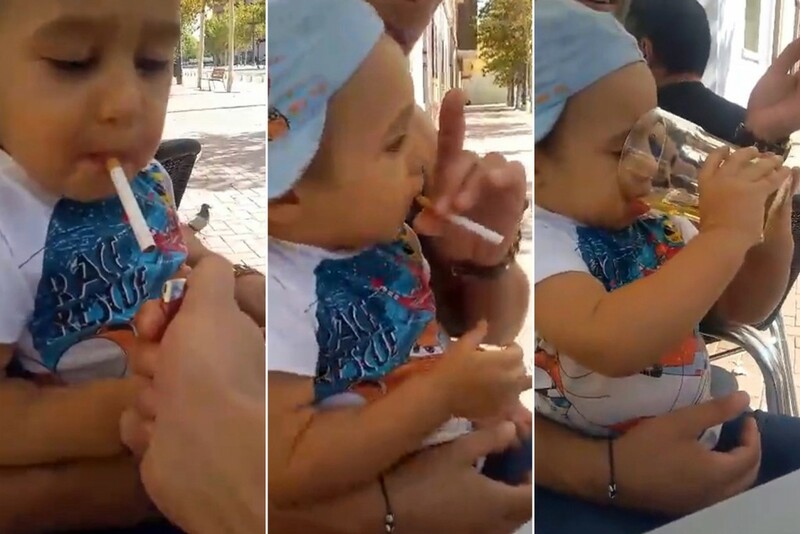 ‘That’s what being a real man is all about,’ one of the men can be heard saying in Romanian, as the boy takes another drag of the cigarette. Of question is whether the man who is holding the child is the tot’s father? Not surprisingly the video has led to an outpouring of outrage on social media. ‘This man has to lose his parental rights. Childcare officials should do something,’ Doina Dicu wrote on Facebook. Police in Spain, where the footage was taken, are now reportedly searching for the two men in the video. What do you think? Will you be offering your tot a ice cool beer along with a smoke when you get back from the office tonight?